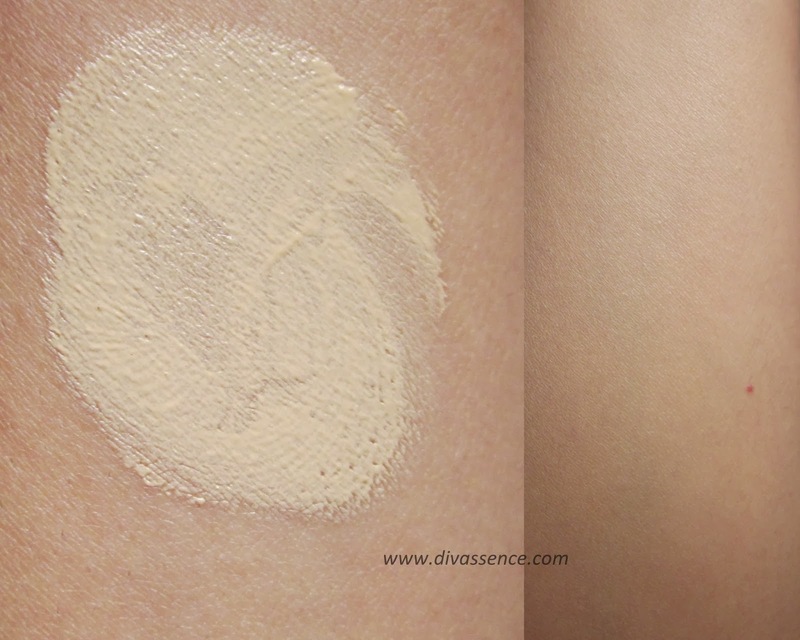 VIVO Beauty Balm: Warm Ivory: Review/Swatch - Divassence! Description of the product as on the VIVO site: Primes, conceals and gives the ultimate coverage for that perfect flawless skin finish that lasts all day long. Shade: I bought Warm Ivory from the site without checking swatches or anything, just purely based on guess work. 😛 Fortunately it happened to match my skin tone. The Beauty Balm has a very very strong yellow undertone. So that made me look like a person who was recovering from jaundice! Consistency and Texture: The BB cream is pretty thick in terms of consistency and needs to be blended with all might and strength to ensure that it looks even. For those of you who have dry skin, let me warn you that it is so thick and dry that it makes your skin look like you have white patches all over them! It is that difficult to blend! So I would suggest using a good moisturizer before using this one. If you have oily skin, then skip the moisturizer because when my mom who has oily skin, used this one, it was easy to blend and there was a shine to it. Coverage & Staying Power: Initially when applied (on top of a moisturizer), it seemed like the coverage was somewhere in-between sheer and opaque. I definitely needed a concealer to cover my under eye circles. BUT after an hour, the opacity had completely vanished and I was left with nothing! My face looked just like how it was before makeup!! So I tried setting the BB cream with my Kryolan Translucent Powder and it lasted on me for 3 hours but not more than that. The beauty balm has a floral talc like fragrance to it. It reminds me of Ponds talcum powder!! You can see the strong yellow undertone in the swatches above. So the usage of this is limited only to people who have a yellow undertone. Final Word: Nope. Not worth your money ladies! Never used anything from this brand.. well..